Car buying in India is a big, family affair. And if you begin to look around, the number of car brands and models can literally drive you insane. If you’re currently in the market looking for some decent cars under Rs. 5 lakhs, we’ve got some suggestion you can begin with. We’re starting with the newest first. 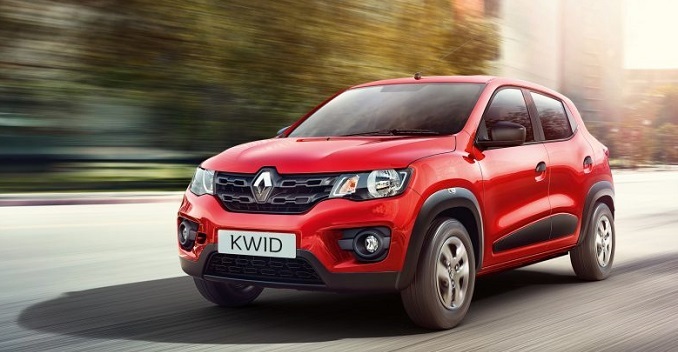 Renault launched the Kwid in India with an introductory price starting at Rs. 2.57 lakh (ex-showroom Delhi). The SUV-shaped hatchback looks to compete with Maruti Alto and the Hyundai Eon. The Kwid is powered by a 800 cc three-cylinder petrol engine capable of 54PS at 5,678 rpm. The hatchback is powered by all-new 0.8 litre engine and delivers a mileage of 25.17 km/l, making it the country’s most fuel efficient petrol car. It will be available in 5 colours. The Renault Kwid proves to be an impressive vehicle on paper as well as on the road and looks to be a strong competitor for Hyundai Eon, in particular. 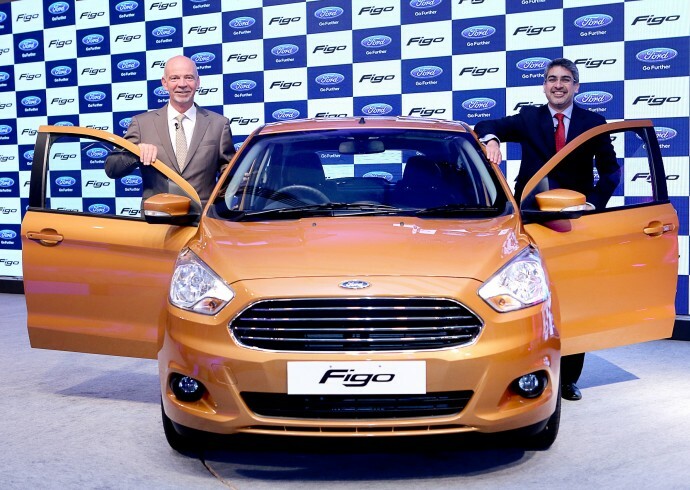 On Wednesday, Ford India re-launched the Ford Figo hatchback at a starting price of Rs. 4.29 lakh (ex-showroom Delhi). The petrol version prices go up to Rs. 6.40 lakh while the diesel prices go up to Rs. 7.40 lakh. The Figo has a ground clearance of 174 mm and boot space of 257 litres. It is available in three engine options – the 1.2-litre Ti-VCT petrol, the 1.5-litre Ti-VCT, and the 1.5-litre TDCi diesel engine. The 1.2 petrol engine delivers a mileage of 18.16 km/l. The competitor to the Renault Kwid, the Hyundai Eon has been in the business since 2011. Priced between Rs. 3.09 lakh and Rs. 4.22 lakh (ex-showroom Delhi), the Hyundai Eon’s 1-litre engine comes with latest technologies like Dual VTVT, DOHC and lightweight cylinder block, and punches out 68bbhp with a mileage of 20.3Km/l. 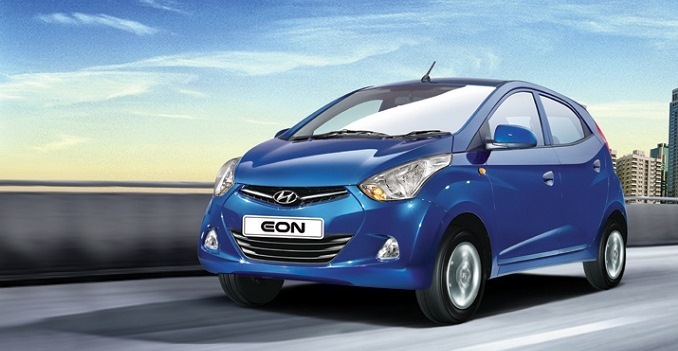 The Eon is based on the fluidic design philosophy of the Korean manufacturer and it is one of the better looking entry-level models currently in the Indian market. 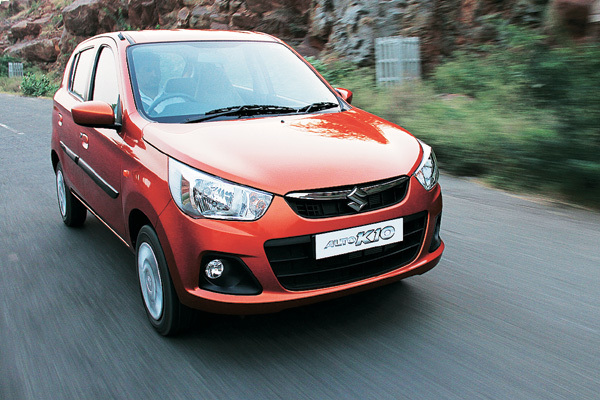 The interiors of the Eon have a richer feel and a higher level of finish to it compared to the Maruti Suzuki Alto. Nissan has had a lot trouble selling cars in India since its inception here. Then came their decision to launch an entry-level car, Datsun. Now the thing about entry-level cars is that customers tend to go for the ones which have an established service network such as Hyundai and Maruti Suzuki. So, Nissan took quite a risk by launching the Datsun GO as an entry-level car with Hyundai and Maruti Suzuki already dominating that part of the market. 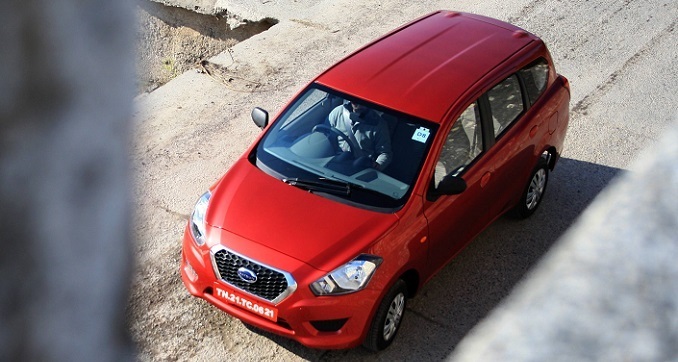 With the Datsun GO+, a sub-compact MPV, Nissan created a new segment in the market. The front and sides of the car are similar to the GO hatchback with the back adding a third row, mainly for children. The 1.2-litre petrol engine gives a maximum power output of 67bhp and peak torque of 104Nm. The Datsun GO+ gives an impressive 20.62 km/l mileage. The Datsun GO+ has a price range of Rs. 3.79 lakh – Rs. 4.61 lakh. The Maruti Suzuki Alto K10 was launched in 2010 and received an upgrade just last year, which included changes to both the interior and exterior. One of the most noticeable changes is that the car is now available with the Auto Gear Shift – like Celerio – and this makes the car more fuel efficient, according to Maruti. The Alto K10 with the AGS gives a splendid 24.07 km/l mileage. The Alto K10 has 998cc K10 engine which churns out 67bhp. The new model has a chrome front grille, revised head-and tail-lamps, newly designed bumpers and 13-inch wheels, among other things. The car is available at a starting price of Rs. 3.13 lakh. We end our list with the Grand i10, a car that falls in-between the i10 and i20, that was released in 2013. The Grand i10 ranges between Rs. 4.29 Lakhs to Rs. 6.41 lakhs. The Grand i10 is available in four variants – Era, Magna, Sportz and Asta. The highlight of the car is the 1.2-litre four-cylinder kappa petrol engine developing 80bhp and 112Nm and gives a mileage of 18.9 km/l. 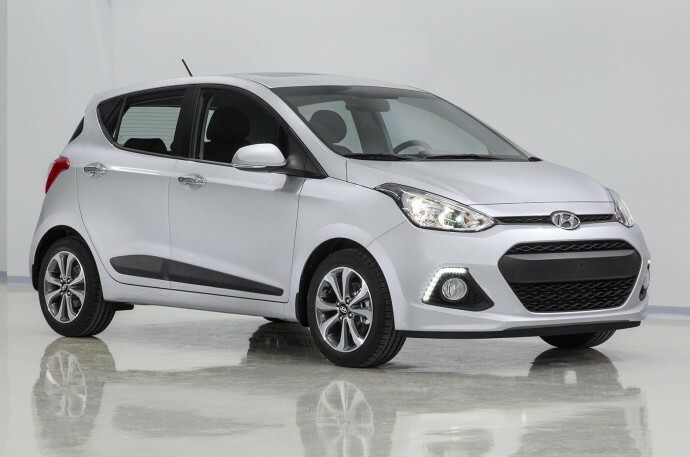 The Hyundai Grand i10 resembles the i10 from the side, but it’s noticeably wider, longer and taller. The Grand i10 offers more cabin space than the i10, along with 258 liters of boot space.